Oulu is a city and municipality of inhabitants in the region of Northern Ostrobothnia, Finland. 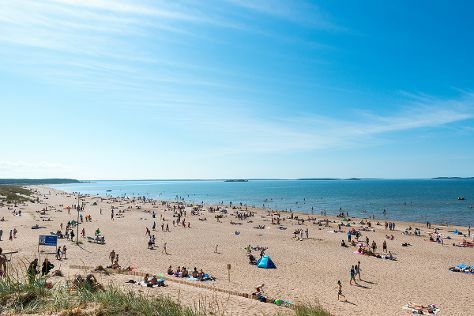 Kick off your visit on the 2nd (Sat): shop like a local with Kauppahalli, kick back and relax at Nallikari Beach, then tour the pleasant surroundings at Ainolan Puisto, then view the masterpieces at Pohjoisen Valokuvakeskus, and finally pause for some photo ops at Toripolliisi. To find photos, reviews, ratings, and other tourist information, you can read our Oulu trip builder app . Pune, India to Oulu is an approximately 20.5-hour flight. The time zone changes from India Standard Time (IST) to Eastern European Time (EET), which is usually a -3 hour difference. In February, daytime highs in Oulu are -3°C, while nighttime lows are -9°C. 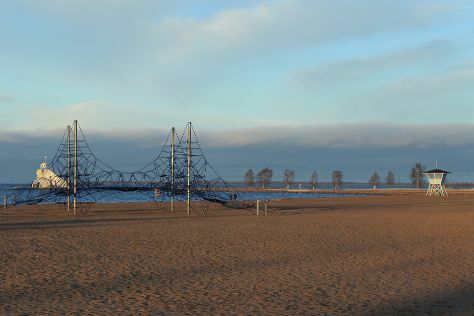 Wrap up your sightseeing on the 2nd (Sat) early enough to travel to Pori. Pori is a city and municipality on the west coast of Finland. Kick off your visit on the 3rd (Sun): stroll through Yyteri Beach, make a trip to Juselius Mausoleum, and then tour the pleasant surroundings at Kirjurinluoto. For reviews, traveler tips, maps, and tourist information, you can read our Pori journey planning site . Traveling by flight from Oulu to Pori takes 5.5 hours. Alternatively, you can drive; or do a combination of flight and train. Traveling from Oulu in February, you can expect nighttime temperatures to be somewhat warmer in Pori, with lows of -5°C. Wrap up your sightseeing on the 3rd (Sun) to allow time to drive to Turku. Turku is known for historic sites, museums, shopping, parks, and nightlife. 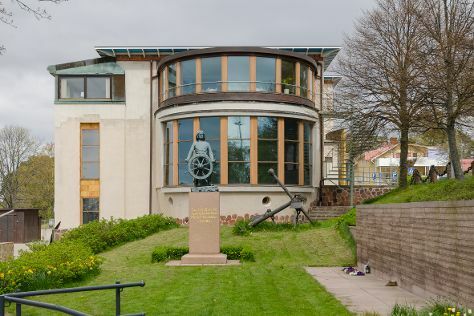 Your plan includes some of its best attractions: deepen your understanding at Turku Cathedral, examine the collection at Luostarinmaki Handicrafts Museum, stroll through Ispoinen Beach and Sauna, and step into the grandiose world of Turku Castle. For ratings, more things to do, photos, and tourist information, use the Turku tour builder . You can drive from Pori to Turku in 2 hours. Alternatively, you can take a bus. In February in Turku, expect temperatures between 0°C during the day and -5°C at night. Wrap up your sightseeing on the 7th (Thu) early enough to travel to Sund. Sund is a municipality of Åland. Kick off your visit on the 8th (Fri): steep yourself in history at Bomarsund, contemplate the long history of Jan Karlsgården Outdoor museum Jan Karlsgården, then steep yourself in history at The Maritime Quarter, then brush up on your military savvy at Aland Maritime Museum, and finally examine the collection at Museumship Pommern. To see more things to do, other places to visit, maps, and other tourist information, read Sund trip planning tool . Use the Route module to find suitable travel options from Turku to Sund. February in Sund sees daily highs of 1°C and lows of -3°C at night. Finish your sightseeing early on the 8th (Fri) so you can travel to Kotka. Kotka is a city and municipality of Finland.Kotka is located on the coast of the Gulf of Finland at the mouth of Kymi River and it is part of the Kymenlaakso region in southern Finland. Kick off your visit on the 9th (Sat): see the interesting displays at Maritime Centre Vellamo, take an in-depth tour of Langinkoski Imperial Fishing Lodge Museum, then let the kids burn off some steam at Katariina Seaside Park, and finally buy something for everyone on your list at Shopping Centre Pasaati. Get ready for a full day of sightseeing on the 10th (Sun): enjoy the sand and surf at Beach Mansikkalahti, appreciate the extensive heritage of St. Nicholas Orthodox Church, then meet the residents at Maretarium, and finally take in nature's colorful creations at Sapokka Water Garden. 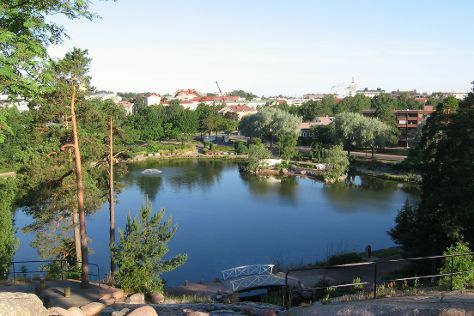 Plan my day in Kotka using traveler tips and tourist information provided by Inspirock. Explore your travel options from Sund to Kotka with the Route module. Traveling from Sund in February, expect Kotka to be slightly colder, temps between -2°C and -7°C. Finish your sightseeing early on the 10th (Sun) so you can travel back home.